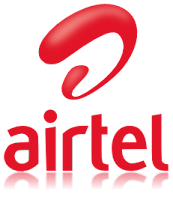 Following the Indian telecom regulator's instructions, Bharti Airtel launched an online self-care service to provide its pre-paid mobile customers details of their account including bills. The Telecom Regulatory Authority of India ( TRAI) had last month asked operators to ensure that subscribers are informed every time an amount is deducted from their account for different services adding that they should be provided a detailed bill for a price not exceeding Rs. 50. The operators were given a deadline of 45 days. "'Prepaid My Account' is a simple, secure and convenient way for Airtel prepaid mobile customers to access a whole host of functionalities including checking balance, recharging, starting or stopping VAS services (value added services) etc," Airtel, the first firm to come up with this service, said in a statement. "Airtel prepaid mobile customers can visit the new self care website to receive and activate customized offers on 'My Airtel, My Offer' (MAMO), view tariff and top up options, request for the itemized bill and more," it added. Customers can also view last 5 recharge details. So far, there was no regulatory guideline to provide pre-paid customers itemized bills who had no record of their calls and other services.